The Ministry for Development of North Eastern Region (DoNER) on Monday recalled the contributions of late Prime Minister Atal Bihari Vajpayee for the development of the north-eastern region. DoNER Minister Dr Jitendra Singh said that late Prime Minister Atal Bihari Vajpayee was perhaps the first Prime Minister who realised the significance of the northeastern region and took several initiatives for the progress of the region. “Shri Vajpayee conceived a separate Ministry for this purpose and initially set up a department for the development of NER,” Dr Singh said. He said that Vajpayee setup a non-lapsable pool of funds for the northeastern region. 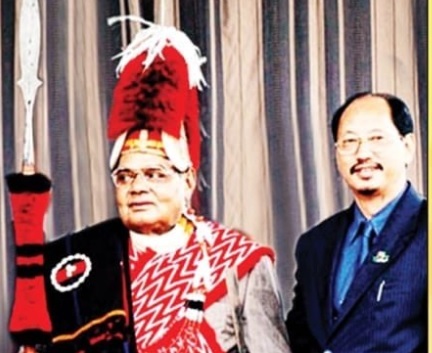 “Sikkim included as a member of North Eastern Council, mobile phone connectivity launched in the region and also Prime Minister’s Gram Sarak Yojna expanded to benefit the NER…all these were made possible by Vajpayee,” the DoNER minister recalled. Dr Singh paid floral tributes to late Prime Minister Vajpayee during a homage meeting at the Ministry of Development of North Eastern Region here. The Union Minister said the present government under the Prime Minister of Narendra Modi gave further momentum to development of NER and the road, rail and air-connectivity have expanded in the region. He said that Prime Minister Narendra Modi has undertaken nearly 30 visits to the region and the present rapid development of the NER, is the best homage to Vajpayee. On the occasion, DoNER secretary Naveen Verma recalled several initiatives taken by Vajpayee for the progress of NER. He said that late Prime Minister Vajpayee had underlined that there will never be any dearth of funds for taking the NE region forward.